Sorry I haven’t uploaded a blog post recently, have been mega busy with normal every day life (yawn, very boring I know). I thought I would share what I loved in May (sorry it’s a bit late, not sure where the time has gone). It is a mixture of beauty and clothes, surprise, surprise! I was hard pushed not to include my whole skin care routine in here, as my skin has never been so good! Less spots, less hormonal breakouts and dare I say it, more glowy! So, I decided just to include two skin care products, with the possibility of doing a morning and evening skin care post soon! 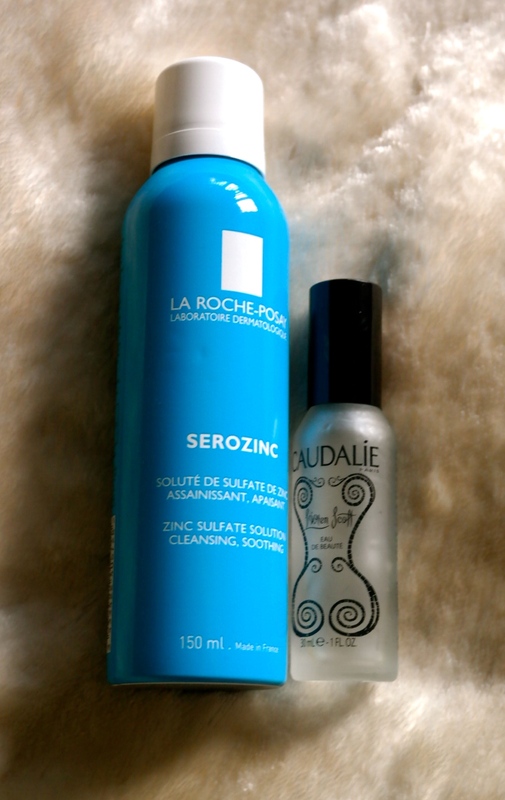 First up is La Roche Posay Serozinc , which I picked up in Paris and so wish I had picked up 10 more. This stuff is lovely, and I have really noticed a difference to my skin since I started using it. Its lovely and refreshing on the skin in the morning and is meant to soothe and purify the skin, which I feel it does perfectly. The next product, also a frenchie, is the Beauty Elixir from Caudalie. I am now on my second bottle of this and I love it! It’s quite scented, which I like and again very refreshing on the skin. However, I was never a hundred percent sure of what it does for the skin, but having had a look on the spacenk website, now I know why my skin is looking so good! It works on fine lines, pores and also boosts the skins radiance. I am really impressed with this little bottle of miracle liquid and will definitely be taking this and the serozinc with me on my holidays in a couple of weeks. 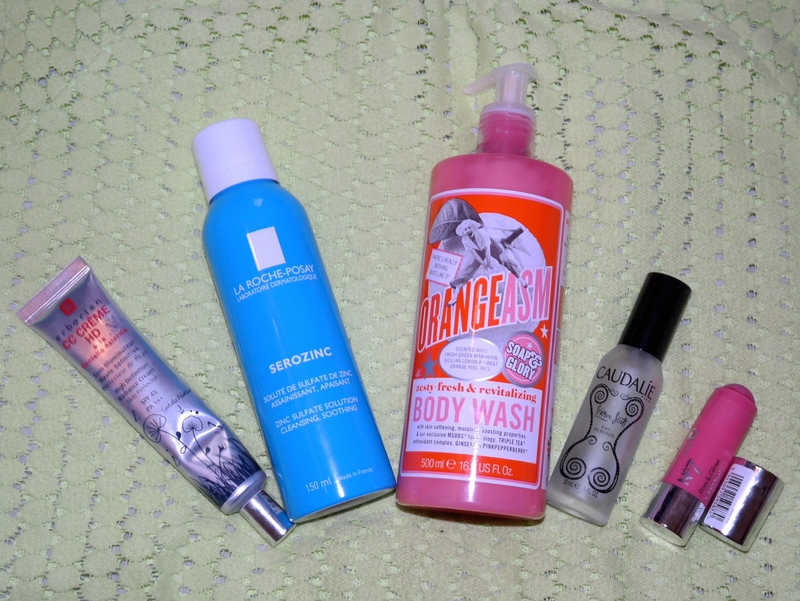 The final beauty fav is the new(ish) Soap & Glory Orangeasm Body Wash. This smells gorgeous, very citrusy and skin awakening! My hubby has been using this as well and it has lasted a long time considering! I am absolutely loving Soap & Glory products recently, you will see some more rave reviews in some up and coming posts! There are just two really standout make-up products that I want to mention that I have loved through may, as I haven’t been wearing that much make-up recently. I am absolutely loving the Erborian CC Creme. This was recommended to me and my bestie when we popped into my local Space NK store and it has been love at first use. It comes out white and then blends to a natural skin colour. This gives you a wonderful glowy finish, but it is definitely one to use for good skin days! Finally, my new blush favourite is the No7 Pop and Glow Cream Blush Stick in Classic Rose. This is beautiful. It blends so well and it is so easy to apply. I just swipe it across the apple’s of my cheeks and then blend with either my fingers or a brush. 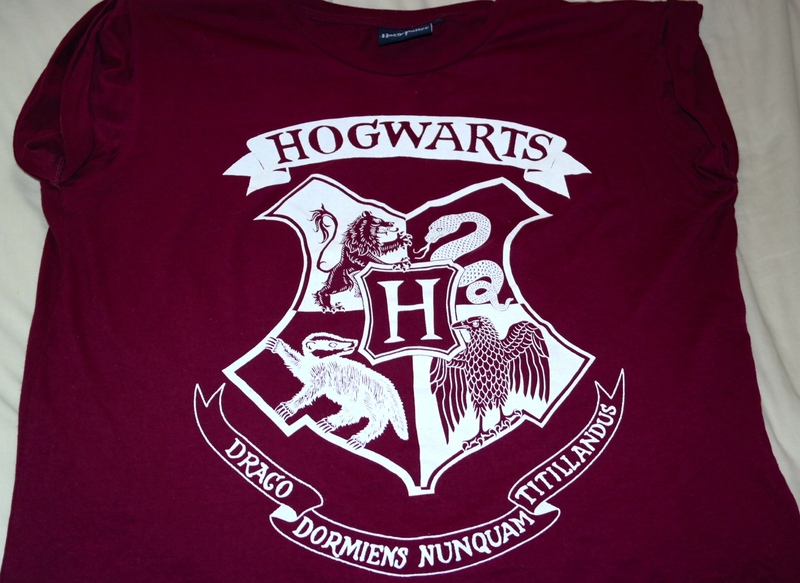 I saw this Harry Potter T-shirt on Amelia from xameliax and instantly wanted one for myself, and like with everything I see on other people, I couldn’t find one in my local Primark store for love nor money. Having forgot about it and dealt with the fact that I would never own one, I stumbled across one in the Coventry Primark whilst out with my bestie. I have worn it so much, I have considered buying a second one just in case I wear it out! June is already looking to be an exciting month product wise, due to it being my birthday month (stay tuned for a ‘what I got for my birthday’ post) and with the amount of shopping and time spent in boots already, so June will be a cracker of a favs post!